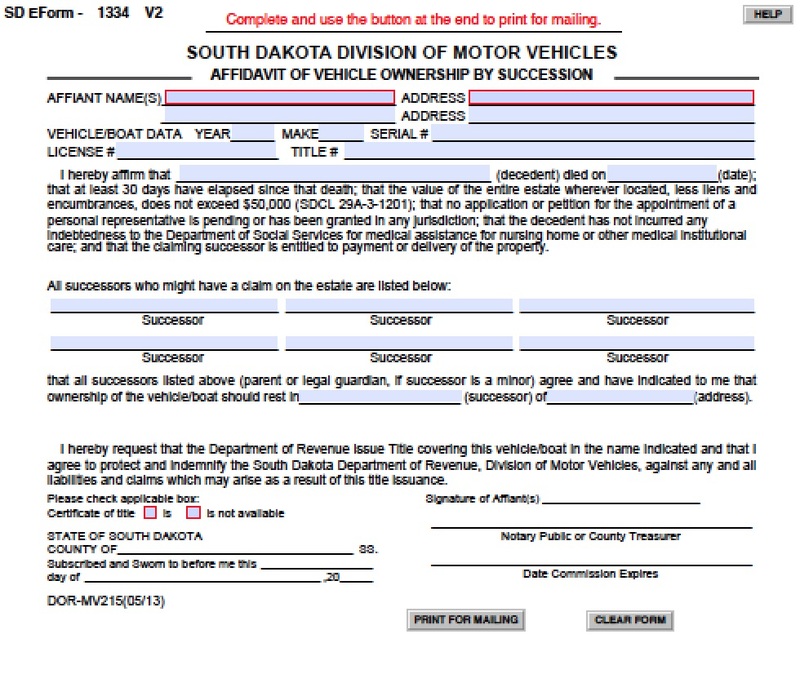 In order for a grieving family to avoid probate court, they must file a small estate affidavit with South Dakota to claim the decedent’s real estate property, including homes and land, but not motor vehicles. The total value of the estate may not exceed $50,000 or it will go to probate court automatically. 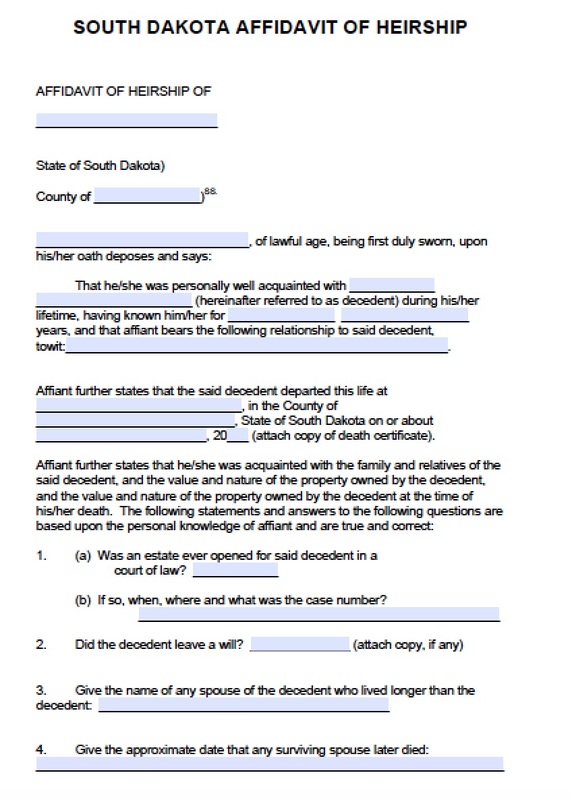 In South Dakota, creditors may also file a small estate affidavit to claim the decedent’s property if they have evidence that the decedent owed debts. There is a 30-day waiting period. 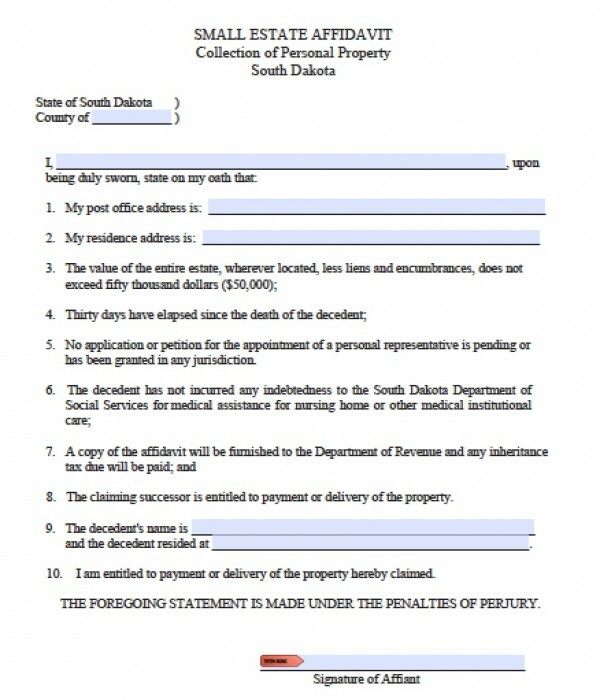 The South Dakota small estate affidavit laws are governed under statutes S.D. Codified Laws Ann. §§ 29A-3-301 and following.